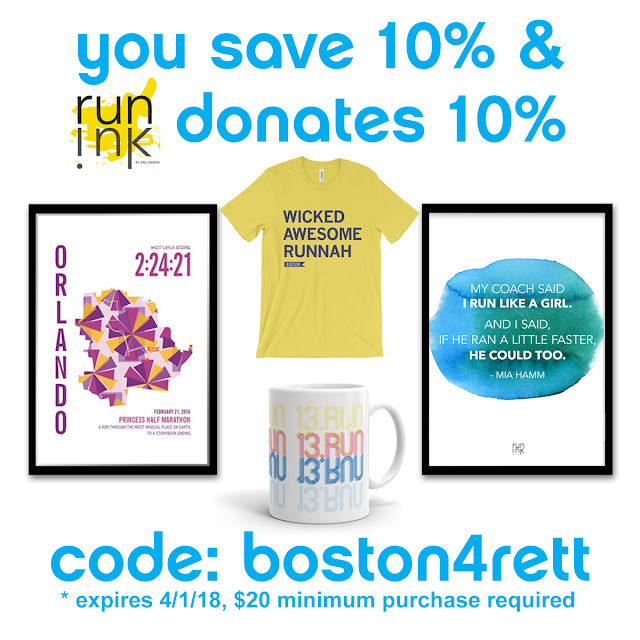 Remember when I introduced the #Boston4Rett team last week and mentioned that over the coming days/ weeks/ months there would be time to help out?! Well, now is one of those times! Today Sparkle Athletic opened up registration for the #TeamSparkle Virtual 5K and this is one of the fundraising opportunities I was hoping to draw your attention to. On Marathon Monday (April 16, 2018), seven women will each be running 26.2 miles during the iconic Boston Marathon for a grand total of 189 miles for 189 girls with Rett Syndrome. But just because you aren’t running Boston with us doesn’t mean you can’t participate. 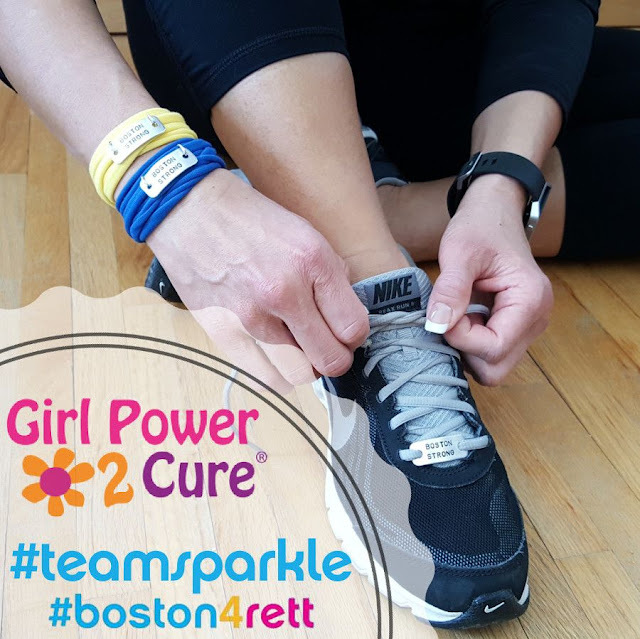 This year we invite YOU to join #TeamSparkle and participate in our #Boston4Rett journey by signing up for the #TeamSparkle Virtual 5K (and, yes, all profits will be donated to Girl Power 2 Cure). 1. 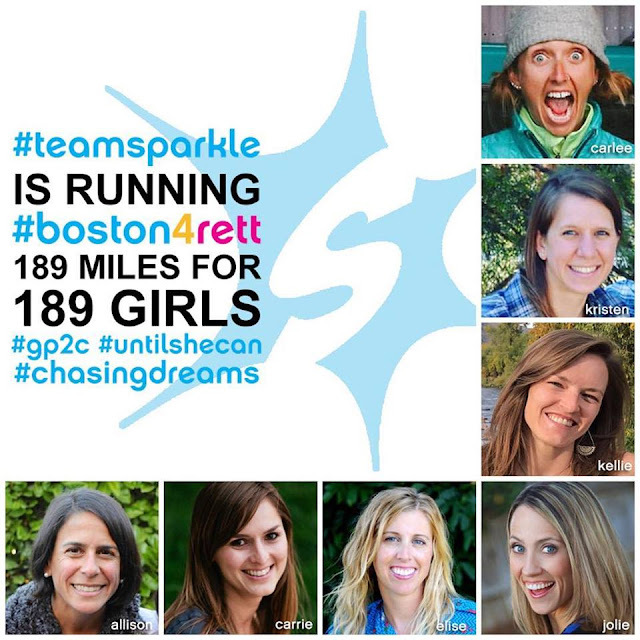 Sign up for the #TeamSparkle Virtual 5K. Registration is open NOW till it sells out (so don't lolly gag or you'll miss out). 2. Run/ walk/ roll at least 3.1 miles (5K) anytime between now and Monday, April 16th, 2018. However, we’d suggest you complete the 5K near the date we are running the Boston Marathon (April 16th). 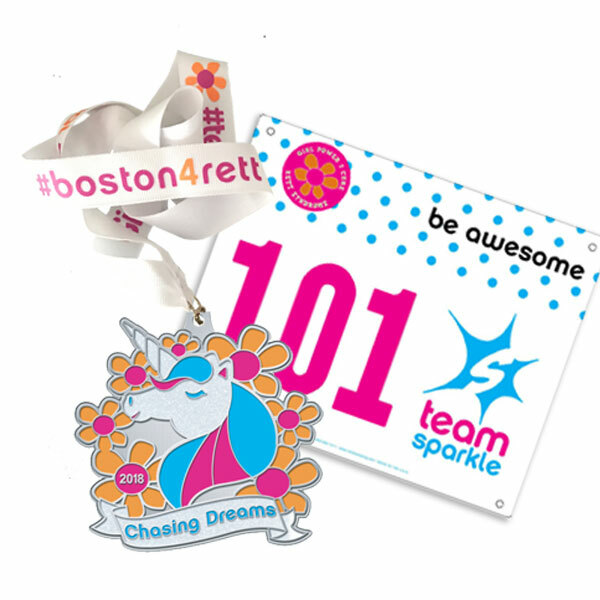 You will be receiving a real, actual race bib AND a beautiful, sparkly, die cast, 2018 unicorn #TeamSparkle medal the week of April 2nd. 3. Share your photos with the rest of the world on social media using the hashtags #Boston4Rett and #TeamSparkle. Spread the word, share your experience and help us raise more awareness (and funds) to help #ReverseRett! If you are interested, there are also different commemorative shirts (either along with the registration or on their own) and all of their profits also going to Girl Power 2 Cure. You can find all of the registration and clothing options HERE. Another one of the AWESOME brands is Momentum Jewelry, who will be donating 25% of all sales of their BOSTON STRONG Motivate Wraps and Foot Notes to the cause. Check out their recent blog post all about it! Have you ever participated in a "virtual run" before?